Your full service neighborhood Indianapolis bike shop. 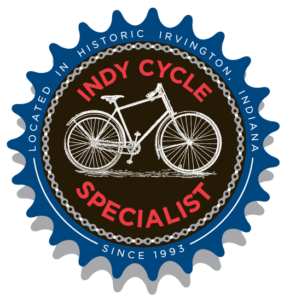 Since 1993, Indy Cycle Specialist has been a driving force in the community for cycling, healthy lifestyles and promoting the bicycle revolution. ICS has one of the largest showrooms in the Midwest, in historic Irvington, at 5804 E. Washington St. Indianapolis, IN 46219. With a 12,500 sq. ft. showroom, ICS has the largest selection of bicycles of any bike shop in Indianapolis. All bikes are displayed in one large showroom. Whether you are a casual rider or a pro racer, we cater to all of your cycling needs. ICS offers bikes from the best manufacturers with a staff of cycling enthusiasts who share your passion. Stop in to see what an award winning Indianapolis bike shop looks like and experience the best bike shop service at ICS! We are a full-service neighborhood bike shop with every type and style of bike. We are here to help you with your new bike or bike repair while being polite, honest and sharing our love of cycling. We specialize in helping you ride. Scott Irons, the owner says "I am dedicated to giving my best and helping you ride any style of bike that you enjoy riding. Thanks for visiting, and always Ride n' Smile." Custom Wheel Building with Free Truing for Life! Ride now Pay Later 12 Months. Financing Available! Check us out on a Virtual Tour! 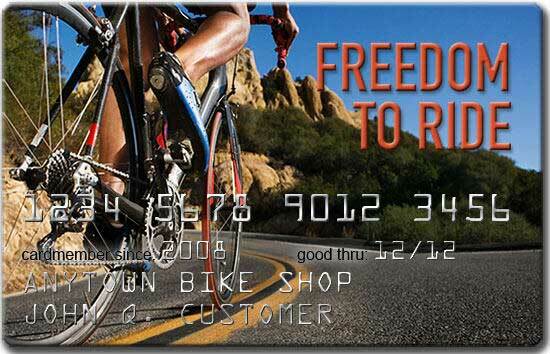 Our Freedom To Ride credit program is an easy way to get the bike and accessories you want right away. On Purchases of $299-$999 offers 6 month No Interest, $999 and up offers 12 Months No interest with your Freedom To Ride card. Minimum Monthly Payments Required. Great article with Giant Bicycle. Pound to be a partner with this awesome bike company.